Statistics provide a snapshot of information, and often apply only to the time period for which the statistics are gathered. 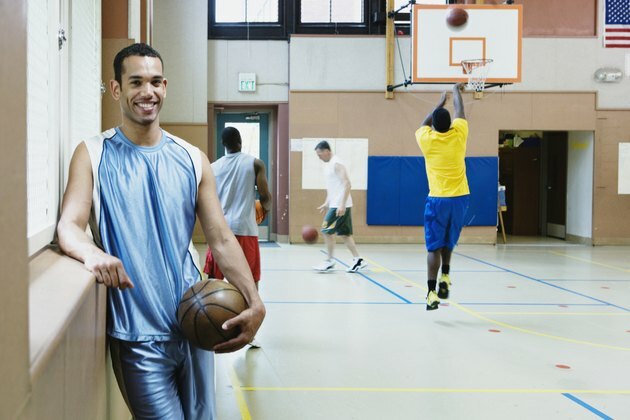 However, a snapshot can be useful, especially if your child is proving to be a phenomenal basketball player. While the numbers may vary, the percentage of high school players who make it the NBA is always very small. Keep in mind that a 2006 rule requires that players who participate in the draft are at least one year out of high school and must be at least 19 to play. Male players are drafted into the National Basketball Association and female players are drafted into the Women's National Basketball Association. According to the National Association for Sport and Physical Education, neither have a very high probability of being drafted. For men, about three out of 10,000 male high school basketball players will be drafted into the NBA, or about .03 percent. For women, the numbers are similar. One out of 5,000 players, or .02 percent, will be drafted into the WNBA. If you evaluate this statistic as information for your high school player, keep in mind a few other intriguing statistics. Just 10.6 percent of the 2010-11 rosters include players who have just one year of experience. Players with four or fewer years of experience make up the largest part of the team rosters at 52.1 percent. Only 10.6 percent of players have more than four years of experience, which makes a long-term career in the NBA a long shot for most players. If your high school player is drafted for the NBA at age 19 or after one or two years of college, he can still get a college education. An October 2009 article in "The New York Times" covered the return of many NBA players to college during the offseason. Many players and coaches consider returning to college a smart move for a player. The rigors of professional sports and chance of basketball-ending injuries make a college or vocational education essential for a good career after the NBA. The good news is that team sports of almost any variety are very healthy for kids, regardless of their professional aspirations. Beyond the physical benefits, which can be significant given the spiraling statistics in childhood obesity levels, youth sports also provide significant social and emotional benefits. Youth players, regardless of gender, have stronger social development skills, moral development and are less likely to engage in gang behavior. Freedom High School Guidance Department: From High School to Pro – How Many Will Go? President's Council on Physical Fitness and Sports; Youth Sports in America: An Overview; Vern D. Seefeldt, et al. How Many Youth Participate in Sports in the U.S.?